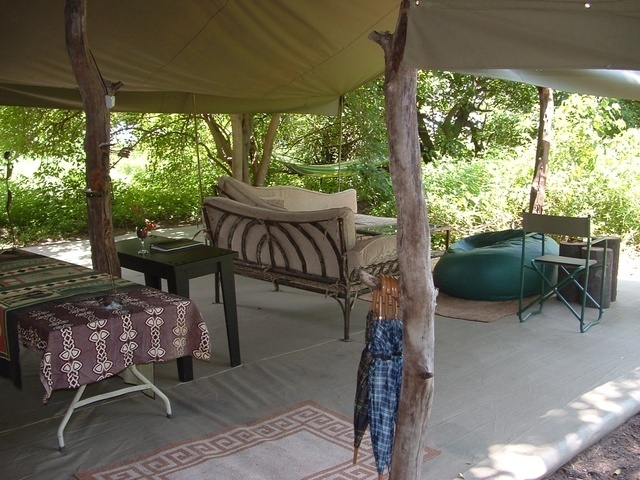 Wilderness Island has two campsites Gcudikwa and Gxhobega, both run by the Xomae group. Gcudikwa is situated close to the Gcudikwa Lagoon and is only accessible via boat transfer from Third Bridge Boat Stations. Facilities are limited and visitors should be self efficient. Reservations must be made in advance through the Xomae Group. Once they have received your Camping payment, they will issue a voucher which you need for the payment of Park Entry fees and vehicle fees at the Department of Wildlife's pay points. For more information on pay points contact the DWNP at +267(0)397 1405. (Jun-17). Xomae Group Office Hours: Mon-Fri 07:30-17h00; Sat 08h00-13h00; Sun-closed. SADC rates are quoted. International: USD85; Residents: BWP580; Citizen: BWP340; kids 0-7 years free, 8 - 17 years are charged at 50% of relevant camping rates! Please Note all Trailers will be charged P50 per day. ADDITIONAL FEES: Vehicle entry fees: BWP10-BWP50; DWNP Park Entry Fees: Citizens BWP10pp; Residents BWP30pp; Non-Residents BWP120pp. Kids under 8 don't pay park entry fees. Kids 8-15 years: pay half the adults rates. (Rate info updated Sep-2017). Access by boat only. (To be hired).